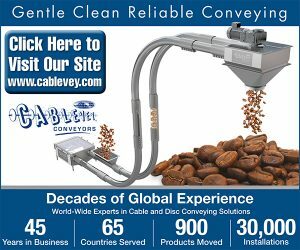 Coffee equipment manufacturer and distributor Espresso Supply has entered the new year with a flurry of activity. Earlier this month, the exclusive worldwide distributor of the Bonavita brand announced that it has gone nationwide with its distribution of the Rattleware Cupping Brewer. Also earlier this month, the company welcomed its new Director of Coffee, Marcus Boni. Boni was on staff at at Espresso Supply for about a year prior to his more recent year-plus as Vice President of Retail at Intelligentsia Coffee. 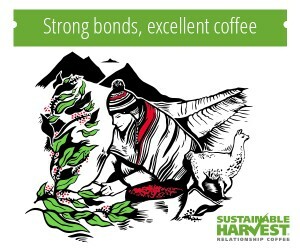 Now back in the ES fold, he’ll not only be a liaison in keeping the Bonavita and Rattleware brands closely engaged with the specialty coffee community as well as home consumers, but he’ll also be involved with product development. 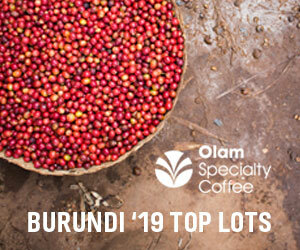 Before Boni stepped away in 2015, he had a hand in planting the seeds of the cupping brewer at Espresso Supply, or transplanting the seedling, as it were. 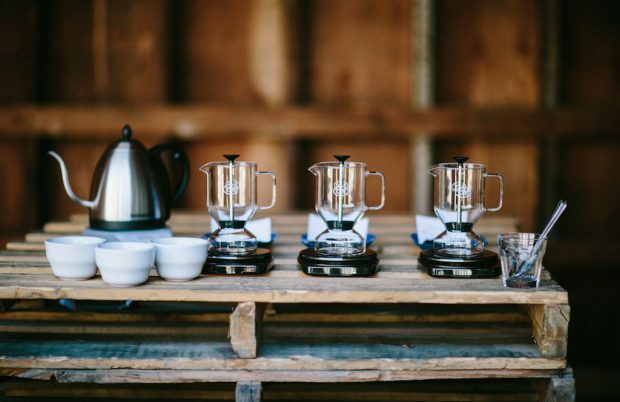 The Rattleware Cupping Brewer originated as the Kong, the brainchild of former competitive barista and current director of quality control for Denver’s Novo Coffee, Josh Taves. In March 2015, Taves launched a Kickstarter campaign to fund manufacturing of the device, though it ended 30 days later having only achieved about seven percent of its goal. Meanwhile, beyond what could be seen from a web browser, the merits of the device were nevertheless finding enough interest to keep the project on its way to market through more established means. The Rattleware Cupping Brewer is unique in several ways. 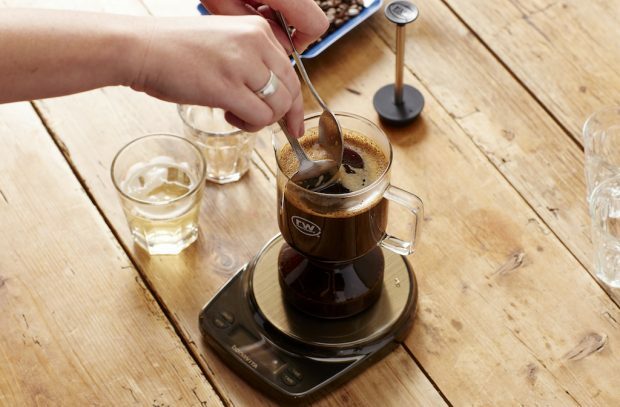 There are the twists and turns of its backstory, but more significantly, it’s also perhaps the only manual brewer on the market that is completely “filter-free.” The brewing method is identical to that of a professional cupping procedure, therefore once the grinds are gently skimmed by a spoon and the remnants descend to the bottom, a stopper seals those grinds into a lower chamber of the vessel, allowing the brew above to be poured out without passing through any kind of metal or paper filter. 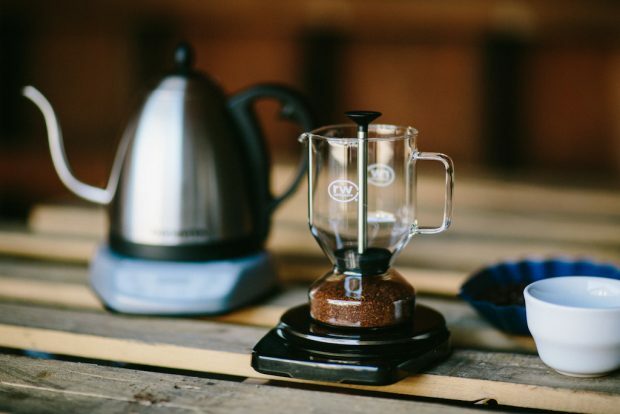 The device is also technically Rattleware’s first foray into manual brewing. 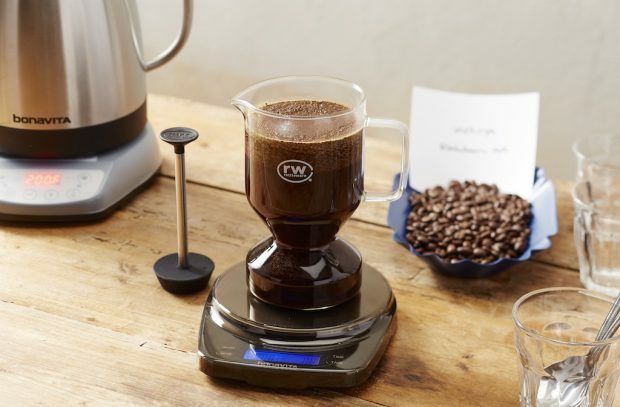 Best known for its espresso tools, accessories and other commercial café wares, the closest Rattleware has come before in terms of manual brewing gear was by way of its cupping accoutrements — a category in which this brewer does fit, if still in its own niche context. 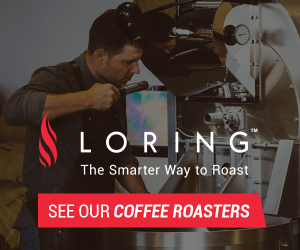 The cupping brewer is ultimately a tool for public educational cuppings, allowing guests to experience the aromatic evaluation and the sip a characteristically similar brew without having to slurp from a spoon or dip their spoons into a shared cup. 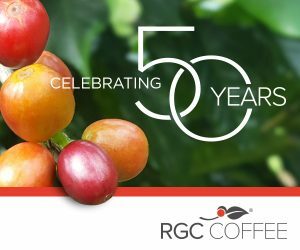 “It is not intended to fundamentally change the cupping culture and process,” said Taves, who notes that while it’s handy for group demonstrations at events or other industry settings, it’s also just a delicious and unique way to brew coffee for enjoyment in any context. 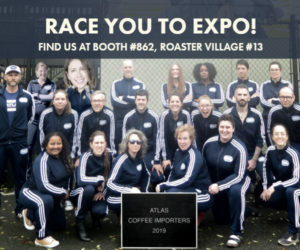 The Rattleware Cupping Brewer is currently for sale on the Espresso Supply website, and the company is also seeking retail partnerships with roasteries and cafes for brick-and-mortar shelf space around the U.S. Boni will be demoing the brewer at the Seattle CoffeeCon on January 27-28, and at the U.S. Coffee Championship Qualifying Event in Austin, Texas, on February 11-12. Evidently these folks never heard of the Espro Press from Canada, which has been out for around 5 years and long since solved the sediment and fines problem of other French Press Brewers. They make a travel size mug and a 1 liter tabletop version. 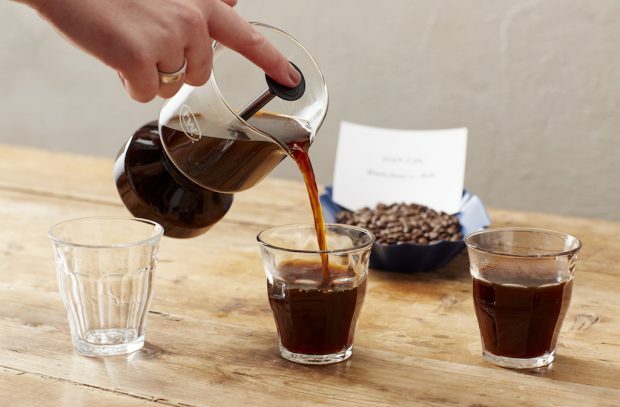 Nothing but advantages over a cupping-style cup for actual drinking (for starters, the coffee is brewed at the right temperature and stays hot while for cupping rapid cooling is desirable.